Do you want to sing like Jennifer Lopez? Its very simple, just follow the tutorial below. Next, following the instruction below. 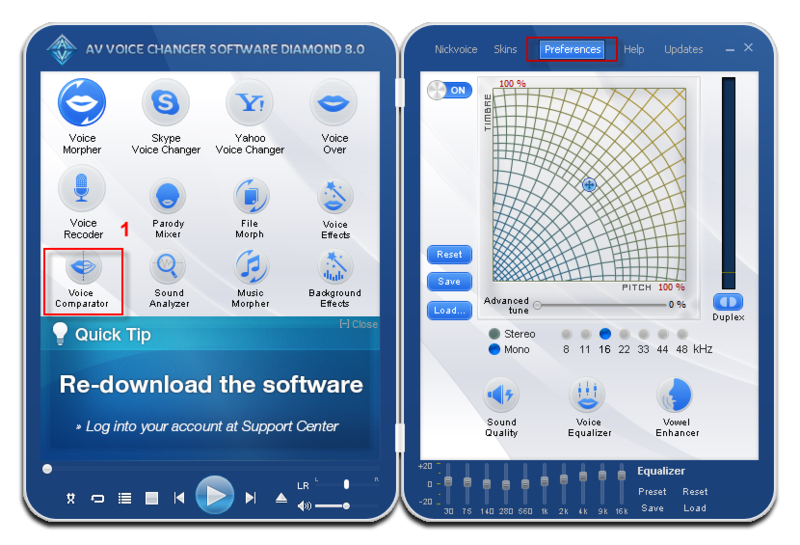 Note: AV Voice Changer Software Diamond 8.0 is total free with demo version. 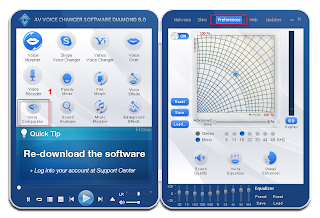 To enjoy fully all functions of Voice Changer Software 8.0, you need to buy Voice Changer Software Diamond 8.0 Full Version at $99.95. 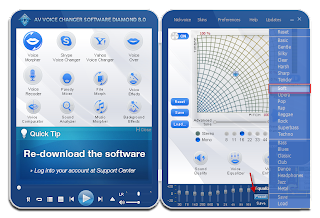 You can search and download a short MP3 or WAV of J.LO voice as a sample voice. 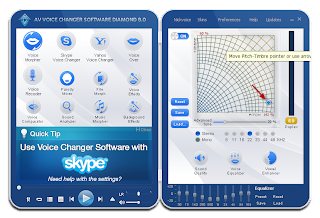 This voice will serve as the target voice to which your voice will be modulated by Voice Changer Software, we'll refer to it as the sample voice. 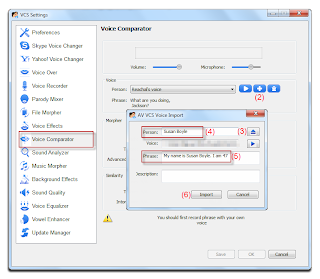 In the Voice section, click the Add (2) button to open the Voice Import dialog box. - Click on the Browse (3) button and choose the sample voice file you have just downloaded above. - Type what she says in the .WAV file into the Phrase field(5). - Click the Import (6) button to save and close the Import panel. 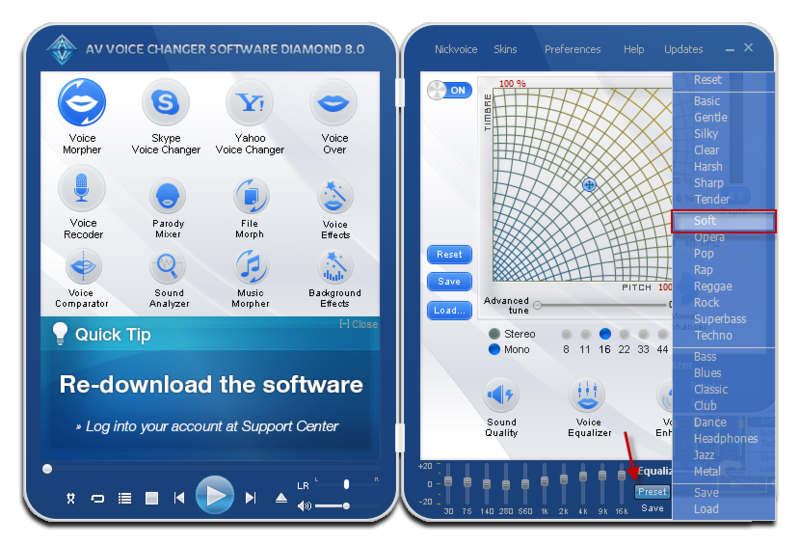 - The new sample voice you have just added will appear at the Voice section (7). - Click the Record button (8) and speak into the microphone the text you typed in the Phrase field. - The recording process lasts in appropriate time and will stop automatically. - Your voice should be clear and loud enough. - You should start to speak right after hitting the Record button. 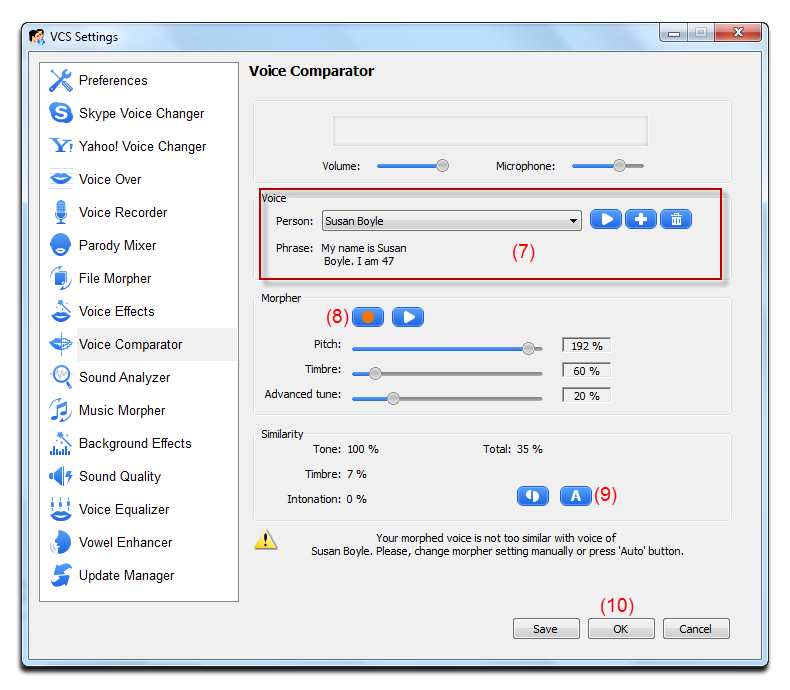 - Try to imitate the tone of the recording voice for best comparing performance. - The comparison will immediately start after your recording is done. Check the result in the Similarity section. 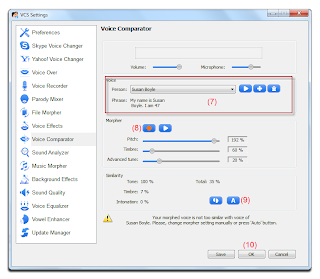 - Click the Auto button (9) to automatically select the best similar parameter to the voice sample. 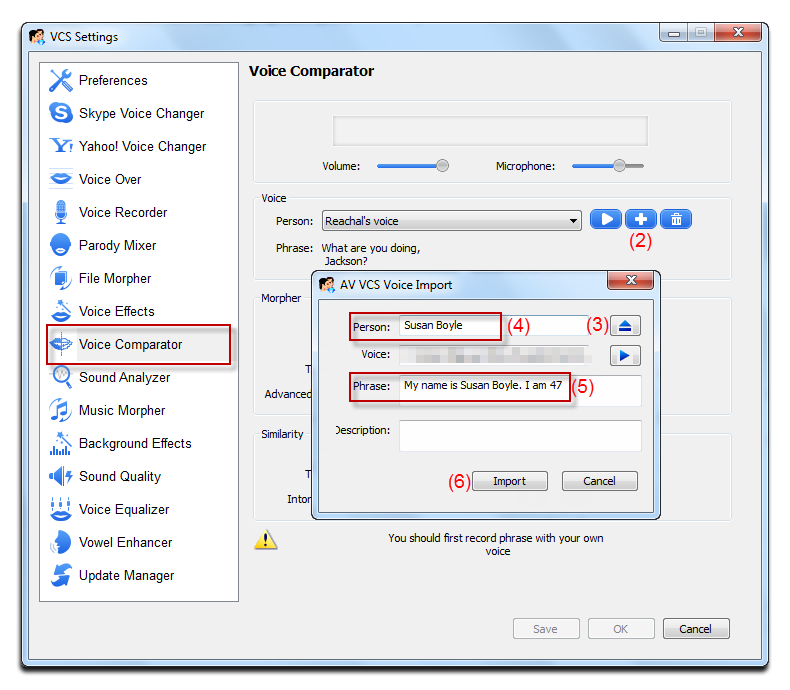 - Click OK (10) to apply the settings and close the Voice Comparator. The morpher settings will be applied into the Pitch and Timbre graph of Voice Morpher module on main panel. - Click Preset and select Soft. Tip: In most cases, the Soft preset works well. But if it does not, try the other ones or load your own settings. You can click the Reset command to discard the changes made by the preset. 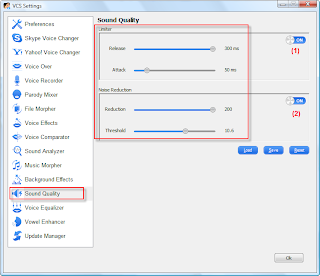 If you feel that the output voice has background noise, follow this step to eliminate them. But firstly, you are recommended to save your current morphing settings, click the Save button on the Voice Morpher module on the main panel to save them. The saved file will keep all the settings that are being applied in VCS. 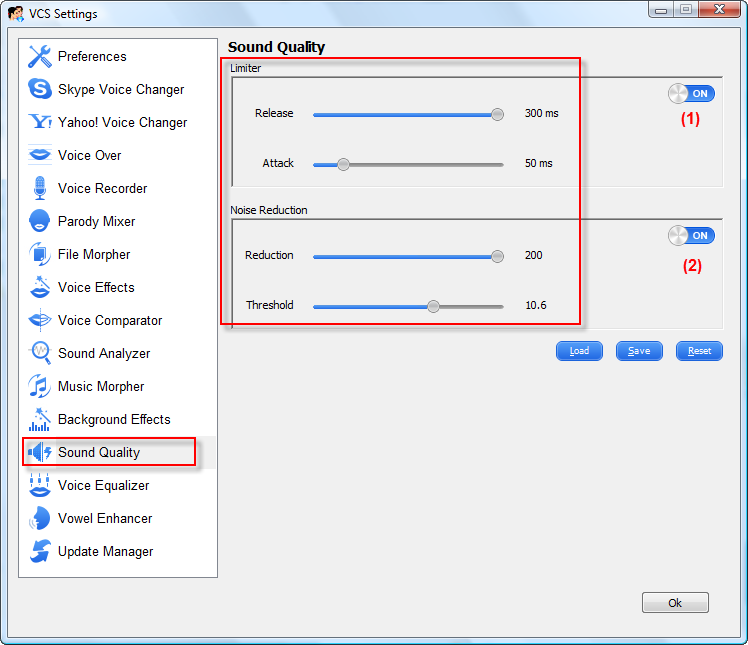 - Click on Preferences on menu bar >> Sound Quality. - Turn on the Limiter (1) and Noise Reduction sections (2), then slightly adjust these parameters: Release, Attack, Reduction, and Threshold until the noise is less dominant. Download the Susan Boyle’s voice file from here. 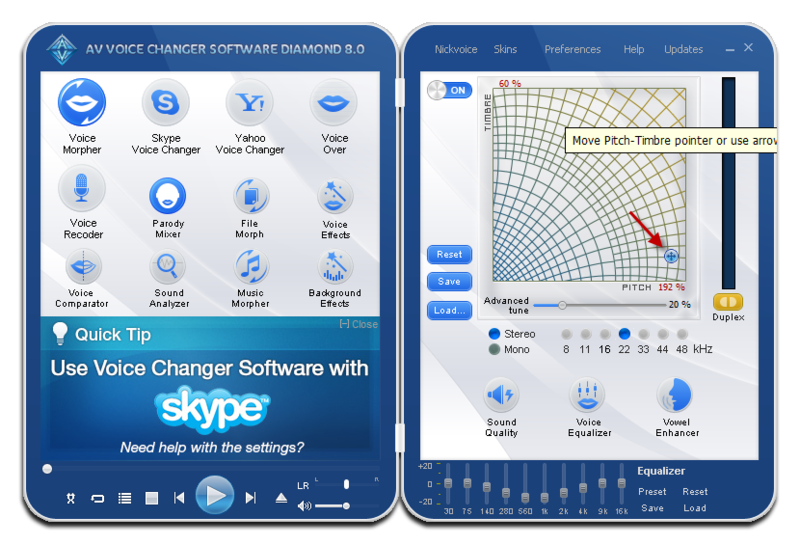 This voice will serve as the target voice to which your voice will be modulated by Voice Changer Software, we'll refer to it as the sample voice.